Join Boj the Collector and improve your child’s reading skills in a fun and interactive way! Play games, sing songs and interact with the characters all whilst developing your child’s confidence in reading. The app has received an EAS Certification of 5 Stars. 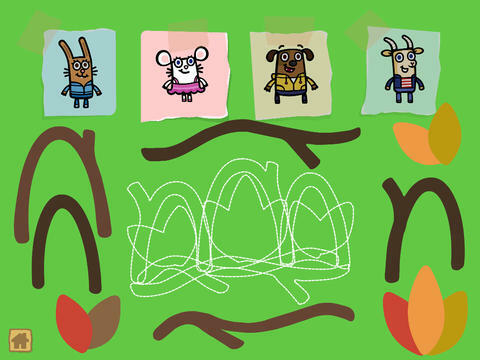 From the Cbeebies series Boj, a collection of interactive appbooks have been created to share the experience and to engage children in reading whilst exploring the world around them. 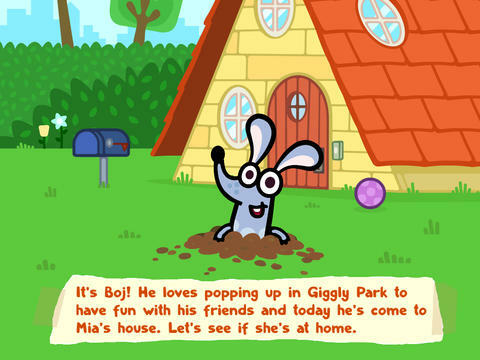 The second story Boj- Boj The Collector is an addition to their popular series of appbooks. This story teaches children the fundamental importance of friendship and helping each other whilst encouraging them to develop their reading skills with a read-along transcript of what the story is about. With two modes for children who are still developing their reading skills and more confident readers it is able to tailor to the different needs of young children. The consistency between the different app stories enables children to develop a sense of familiarity with Boj and how to navigate through the story. This creates and develops a sense of confidence and independence for the reader who can develop and anticipate for the next adventure of ‘Boj’. 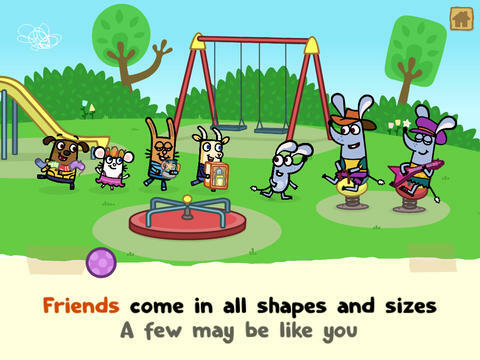 Moreover, this next adventure also means that the child will be familiar with the characters and can better relate to the story for example, if ‘Mia’ is their favourite character they will show a sense of excitement each time she appears in the appbook increasing the sense of engagement and development towards learning and more so reading. As always the high quality graphics of the app instantly encapsulate the reader wanting them to find out what’s next. The child like voice of ‘Boj’ will allow them to develop a sense of friendship with the virtual character as the relationship will be much better suited creating a ‘playful’ and ‘fun’ atmosphere. The user is provided with three sections in the form of sticky notes to which part of the app they would like to investigate. The main and key feature being the story itself where the child has the option to read by themselves or have ‘Pops’ read to them. As always, ‘Pops’ is available to guide the child through the story so if they are at the prime age of development in their reading skills they will be able to rely on an older, more mature character just like they would rely on their parents. It can be assumed that ‘Pops’ is the father of ‘Boj’ already emphasising the child and parent relationship in their development of their reading. This can also encourage parents to get involved when children read by themselves as they can have their own parents guiding them through the more difficult three syllable words. Every page throughout the story represents an aspect of the story, visually representing what is happening in the story. The user is then able to interact with this digital image by clicking on the characters or objects which move or change when touched. This creates a sense of excitement as children are curious of what each character will do and will anticipate to progress further within the book. Alongside these pictures is the script which depending on the option chosen will vary. It can either be displayed as a script which encourages independent reading from the child or a karaoke styled script where the student is encouraged to read along with the narrator improving their reading ability and in time their speed of reading, two very important traits of child development. As with the previous books, children again are provided with small challenges which they may wish to complete to progress further in the story. Although this part is option it is something children will be excited to do as they will feel their actions have resulted in the positive outcomes and they are also positively reinforced by the narrator as they complete each part of the challenge. Due to the structure of the app which enables you to turn page by the swipe of your finger this may sometimes cause to be an obstruction for the child during the child who may accidently swipe to the next page and in result losing all completed parts of the challenge when returning to it. This appears to be a problem on smaller platforms as the space for interaction may be quite limited. To ensure this is avoided children will have to complete these challenges carefully requiring high levels of attention from the child. However, these challenges are a positive aspect of the appbook as they include the learner’s ability to contribute and further engage with the outcome of the story building a sense of accomplishment as well as learning the fundamental lesson provided. 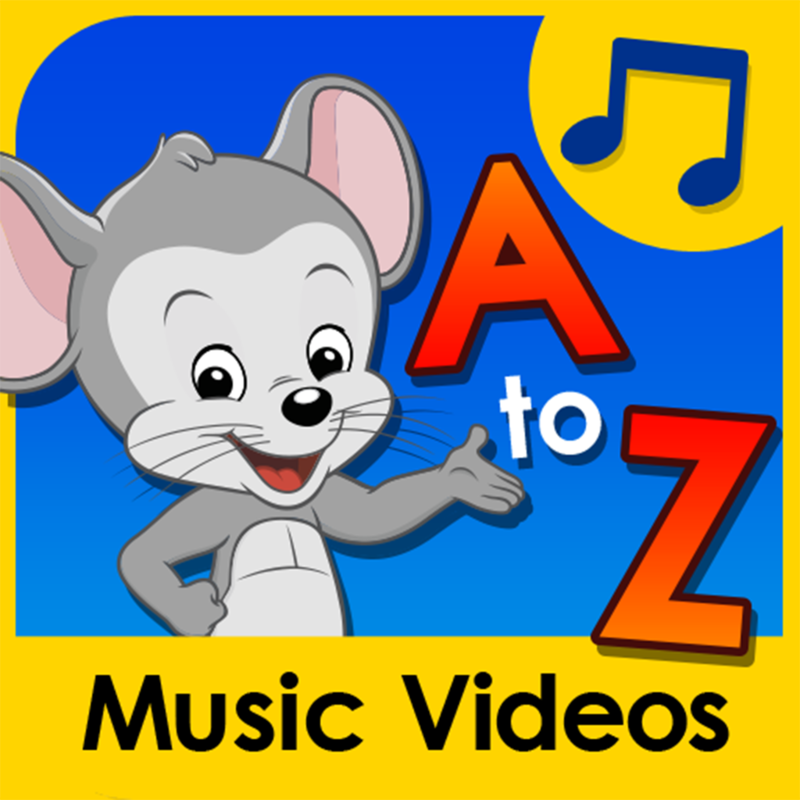 On the completion of the storyapp the child is able to sing along with the other characters in a karaoke styled sing a long! This is a rewarding aspect towards the end of the book and is especially something children will anticipate to come to when reusing the app. Overall, the appbook proves to be a key asset to the development of children knowledge in many areas whilst not heavily focusing on merely the learning aspect of the app. The interactivity of the app alongside the positive and important lessons in life make it just not a story to develop their young minds and reading ability but a guideline for how children should behave and act towards their friends, family and the environment. 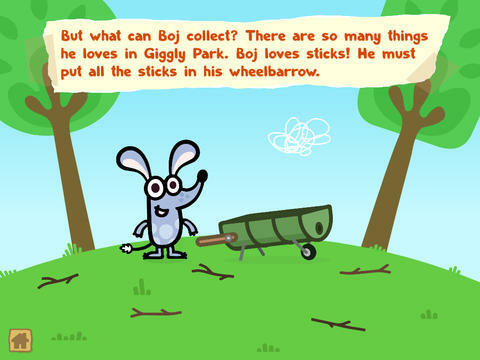 In this interactive appbook, Boj finds out all about collections and what they mean to him and his buddies. Join Boj in a journey around Giggly Park as he collects things, builds things and generally makes stuff from other stuff! Read to you by Jason Donovan (Pops in the TV show) these books come alive through multiple interactions, games and even a sing-a-long section at the end so the whole family can join in. -From a major CBeebies animation series "Boj"
-Unique and specifically written story based on the Boj The Collector TV episode. -Fun games to play to help Boj with his collections! NO in-app purchasing! Read with your children in confidence that this is your time, your story.